» Webhelp, a French multinational company with over 35 000 collaborators in 29 countries worldwide and an over a billion dollar turnover, decided to start a new adventure in sunny Portugal. Only two years since the beginning of our presence in this country we’ve already grown into two sites Lisbon and Braga, with over 1000 Portuguese based Webhelpians and counting! » Join the Webhelp Portugal team and you will have the opportunity to lead the charge in the fast paced, exciting and collaborative ventures which include the inauguration of many new customer service projects with some of the biggest brands in the industry. » This nonstop birth of new campaigns makes Webhelp a company packed with opportunities, many fair and equal chances for everyone, not only to learn many different skills and experiences, but also to begin a path of personal and professional development that can lead to building a long and successful career. Become an integral part to our expansion and success. Join Webhelp in Lisbon! 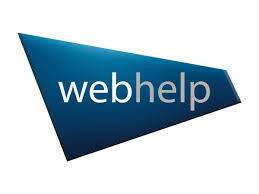 By joining Webhelp Portugal, you will integrate a growing company where you can fair and real career development opportunities. More than your experience or credentials it’s your personality and motivation that will push us forward.